HELSINKI, WITH ITS months-long stretches containing more darkness than light, is a natural fit for neon lighting. For businesses operating in the dark winter months, neon serves as a beacon that invites customers in from the cold. 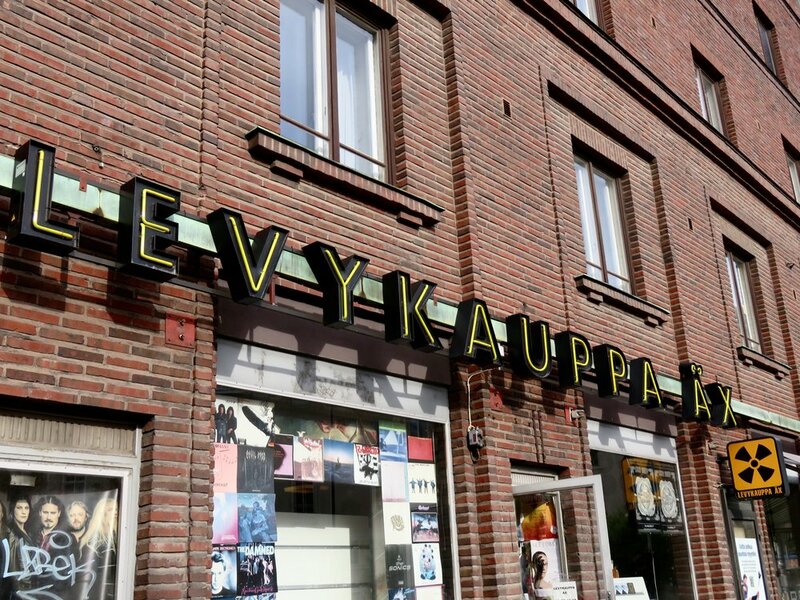 In contrast to other cities, where neon often takes on splashier forms, much of Helsinki's neon is set in orderly sans-serifs, though here and there bursts of cursive and other stylized types still break through. The Bio Rex cinema mixes a wonderfully odd, harsh script with an equally stylish all-caps sans. Close-up of the Bio Rex sign, showing the surprisingly intricate combination of red and green neon on red metal backing. 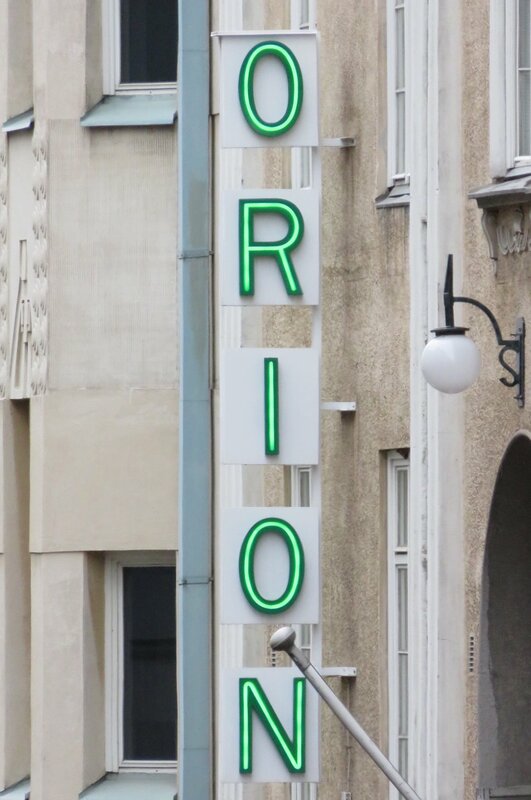 The Orion theater, owned by the Finnish Film Archives, shows a wide variety of Finnish and international films.